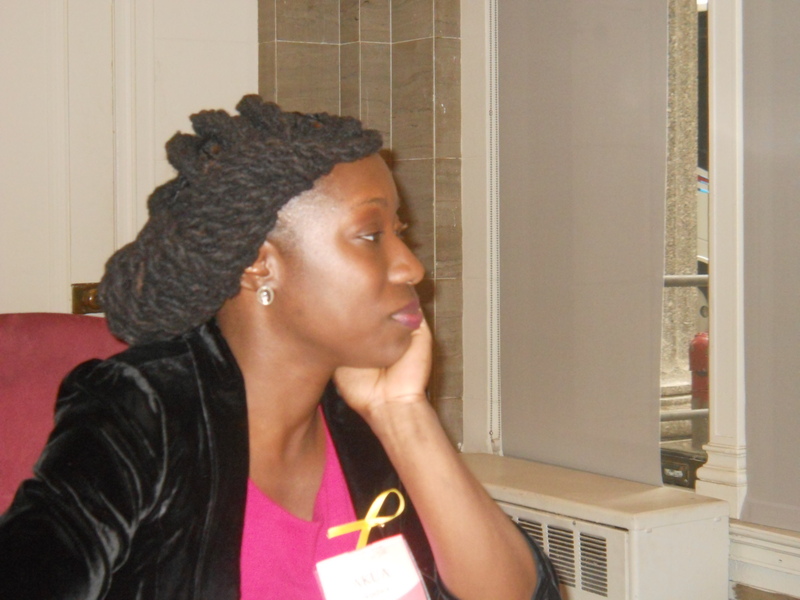 Double Dutch Magazine editor, Jen Threat, chats with Akua Soadwa, Founder of Gye Nyame Empowerment Project (GNEP). For five years, Soadwa has presented an informative and dynamic one-day Sista-2-Sista Youth Summit that positively impacts teen girls. JT: Why do you think there’s a scarcity of programs or lack of access to programs like yours? AK: I’m a firm believer in integrity and honoring my word. If you don’t go to work in your own life, it (the program) won’t be successful. I’m personally doing the work I’m offering. I think sometimes people want to produce programs, but they’re not really willing to do the work on themselves. It’s not sustainable. And because I do the work on myself, the money is always provided for. We haven’t had any grants in the past 5 years. All the money has been individually donated by people committed to what we do. JT: How have you been able to attract women who are the tops in their fields, as well as, celebrities? It’s really the team. The summit is not going to work if they’re lives are not in order. Whatever request I may make, my team is willing to move it forward because their own lives are moving. Versus hearing people ask you to do something, but you’re not feeling like you’re getting it yourself. JT: I know you’re from Cleveland, OH and I am, too. What advice do you have for teen girls or young women who are moving to a large city? I know that can be challenging. I would say get to know people. Don’t be in your box. Do something you normally wouldn’t do. Tell people what you’re up to or what you’re going to create. You’ll find that people will direct people to you, because you keep talking about it. Just keep saying it. What I find so inntteseirg is you could never find this anywhere else.